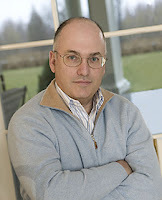 Steve Cohen's hedge fund SAC Capital filed two 13G's with the SEC regarding transactions in American Eagle Outfitters (AEO) and Peet's Coffee & Tea (PEET) this month. Per their 13G filing, SAC increased its position size by 1056% since the close of the third quarter. SAC Capital now owns 9,418,880 shares of AEO, or 4.9% of the company. This is up massively from the 814,560 shares they owned at the end of Q3. This 13G filing was triggered due to activity on January 18th. Per Google Finance, American Eagle Outfitters is "is an apparel and accessories retailer that operates more than 1,000 retail stores in the United States and Canada, and online at ae.com. Through its family of brands, American Eagle Outfitters, Inc., offers clothing, accessories and personal care products. Its online business, AEO Direct, ships to 76 countries worldwide. The Company operates under the American Eagle, aerie by American Eagle, and 77kids by american eagle brands." SAC Capital owns 740,074 shares of PEET according to their latest filing. They've increased their position size by 32,516% since the end of the third quarter as they only owned 2,269 shares back then. Now, SAC owns 5.7% of the company due to portfolio activity on January 13th. This stake is intriguing because Cohen mentioned that fellow beverage brewer Green Mountain Coffee Roasters (GMCR) was one of his favorite plays at this time last year. However, over the course of 2011 his firm gradually cut exposure to the name. Additionally, shares of GMCR have been attacked by Greenlight Capital's David Einhorn (see his short thesis on GMCR here). So it will be interesting to watch shares of PEET in the future. Per Google Finance, Peet's Coffee & Tea is "is a specialty coffee roaster and marketer of fresh roasted whole bean coffee and tea. The Company sells its Peet’s brand coffee through multiple channels of distribution, including grocery stores, home delivery, office, restaurant and foodservice accounts and Company-owned and operated stores in six states."